Great Lakes Safaris takes you to a 6 day safari tour in Lake Baringo, Bogoria, Nakuru, Hells Gate and Maasai mara. If you would like to book this itinerary or you would like to customise this itinerary please make an enquiry. Depart Nairobi at 0800hrs and drive to Lake Baringo. L Baringo, a fresh water lake in the Rift, is a peaceful oasis in the dry thorn country, bursting with birdlife and with a captivating characteristic of its own. 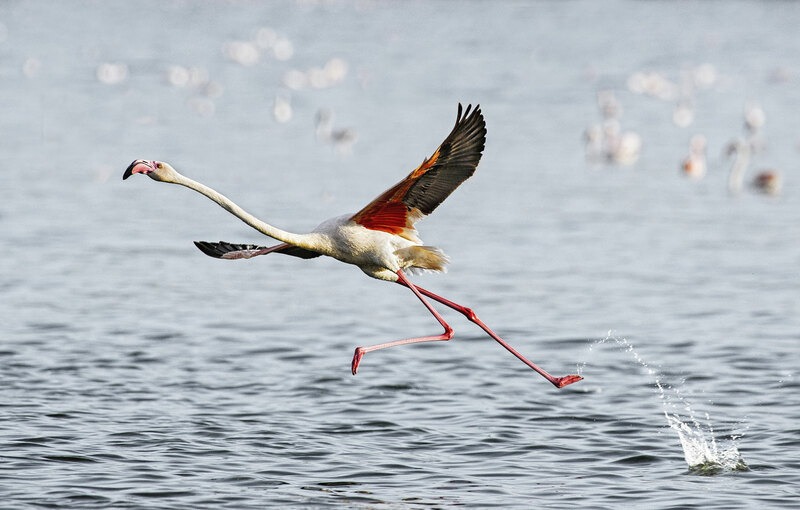 L Baringo possesses two major ornithological attractions: the Gibraltar Island with the largest nesting colony of Goliath Herons in East Africa and the escarpment immediately west of Campi ya Samaki on the western side of the lake. It is the home of Verreaux’s Eagle, rare Bristle crowned Starling and Hemprich’s Hornbill. Apart from birds, the lake houses a sizeable population of crocodile’s and hippos. Meals and overnight at the Camp/Lodge. Depart after breakfast and via Lake Bogoria to see the hot springs and flamingoes then drive to Lake Nakuru National Park. Arrive in the afternoon followed by an early evening game drive, in this beautiful park which boasts Kenya’s first Rhino Sanctuary, home to black Rhino. Dinner & overnight at Camp/Lodge. After breakfast drive to Hells Gate National Park, upon arrival proceed for a day cycling and walking since it’s the only park that allows walk inside the park since there are no predators. Drive back to Lodge for late lunch, rest of the afternoon spent at leisure or you can drive to Lake Naivasha for a boat ride to see hippos and to the crescent Island to see grazing animals(please pay for the boat ride directly). Dinner & overnight, at the lodge. After breakfast, depart for Maasai Mara – the land of vast migrating herds. Arrive in time for lunch. In the afternoon, embark on a game drive to get a closer look at the Maasai Mara. Return to the Camp/Lodge Camp for dinner and overnight stay. Early morning and evening game drives to absorb the enormity of the Maasai Mara. In this country of breathtaking vistas, view its vast assemblages of plains game together with their associated predators: Buffalo, Black Rhino, Hippopotamus, Leopard, Cheetah, Lion, common zebra, Coke’s Hartebeest, White bearded Gnu, Oribi, Warthog, and Thompson’s and Grant’s Gazelles. Alternatively depart lodge with picnic lunch for a full day tour to see the migration. All meals and overnight stay Camp/Lodge.